An accomplished author and speaker when he was still in his 20s, Alan Pell Crawford “was either endowed with a special gift of prescience or generously favored by the political gods,” according to the late James Wechsler in the New York Post. “Mr. Crawford has rendered a significant, spirited contribution to our understanding of the tensions of a new political era,” Wechsler wrote. 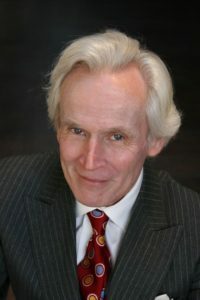 His most recent book, Twilight at Monticello: The Final Years of Thomas Jefferson, published in 2008 by Random House, was a Washington Post Best-Seller. “In Twilight at Monticello, Alan Pell Crawford treats his subject with grace and sympathetic understanding, and with keen penetration as well, showing the great man’s contradictions (and hypocrisies) for what they were,” according to The Wall Street Journal. “Drawing on new archival sources, Mr. Crawford reconstructs daily life at Monticello and depicts a colorful supporting cast of eminent personages, family members and retainers.” Twilight at Monticello “is so skillfully written and well-researched that the book held my interest until the final page,” the Houston Chronicle wrote. A former U.S. Senate speechwriter, congressional press secretary and magazine editor, Crawford has published essays on politics and history in The New York Times, The Independent of London, The Washington Post, The Los Angeles Times, Vogue, The Nation, National Review and The Weekly Standard. He has reviewed books on U.S. history, politics and culture for The Wall Street Journal since 1993. He has been a resident scholar at George Washington’s Mount Vernon (see story in Style Weekly), the International Center for Jefferson Studies at Monticello and the Boston Athenaeum. A former resident of Washington, DC, he lives in Richmond, Virginia, with his wife Sally Curran, the editor of My VMFA, the quarterly magazine of the Virginia Museum of Fine Arts. They are the parents of two sons, Ned and Tim.